Home / RIP Santi Monjo ESP 2. RIP Santi Monjo ESP 2. It is with great regret that we have to inform of the death of the Spanish Sailor Santi Monjo ESP 2. 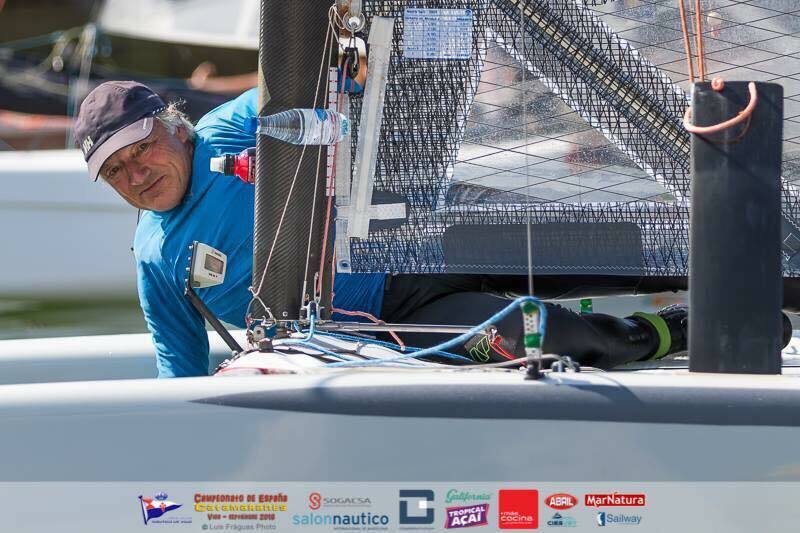 The 65 year old sailor became 2018 Spanish National Classic Champion back in September and it is thought that he died from a heart attack whilst actually sailing his beloved ‘A’ Cat, as he was found on his boat. This is a great shock for the Spanish fleet and he had been sailing with them since 1996. All our thoughts are with his family and friends. We should all take consolation from the fact that he died doing the thing that he loved doing the most, and was aboard his beloved ‘A’ Cat in his final moments. We all drink a toast to his honour and will have a moments silence in departed merit for his memory at the briefing at the World Championships currently taking place in Hervey Bay.